An army of 1000 Japanese soldiers was decimated by saltwater crocodiles during the Battle of Ramree Island of World War II. During World War II, The Japanese Imperial Army captured Ramree Island in 1942. The island lies off the Burma coast, 70 miles south of Akyab, now known as Sittwe. Since Ramree was strategically important, the Allies launched an attack in 1945 to retake the island and establish airbases to support the mainland campaign. After a bloody campaign, British troops managed to drive nearly 1,000 enemy combatants off the island into the dense mangrove swamp that covered some 10 miles of Ramree. It was after this that one of the oddest incidents in the history of warfare occurred. The defeated Japanese soldiers ignored all appeals by the British for their surrender, and instead abandoned their base and entered the swamp. Many of the Japanese troops succumbed to tropical diseases carried by swarms of mosquitoes, as well as the various poisonous spiders, snakes and scorpions found in the marsh. Another additional problem for the Japanese troops was the lack of drinking water and constant threat of starvation. Despite these numerous hazards, one danger stood out as the greatest. One night the British soldiers reported hearing panicked screams and gunfire emanating from within the darkness of the swamp. They didn’t know what exactly caused the shouts of terror they heard, but only that the Japanese troops were being ravaged by some evil menace. Unfortunately for the Imperial Japanese Army, the mangrove swamps of Ramree Island are home to an unknown amount of the largest reptilian predator in the world, the saltwater crocodile. 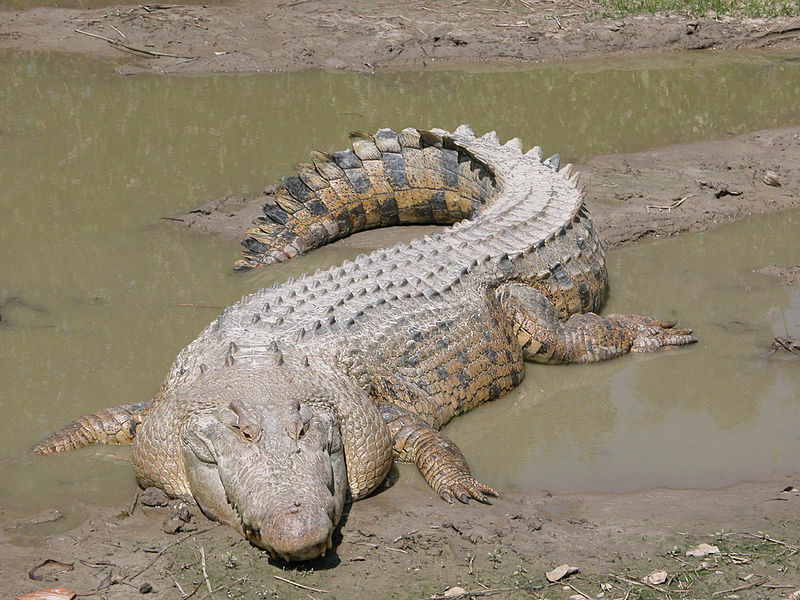 The reptiles can grow up to 20 feet long and weigh 2,000 pounds, but even a midsize saltwater crocodile could easily kill a full-grown adult human, with many being known to eat animals as vast as Indian water buffalo. The soldiers were viciously and mercilessly attacked by the crocodiles. 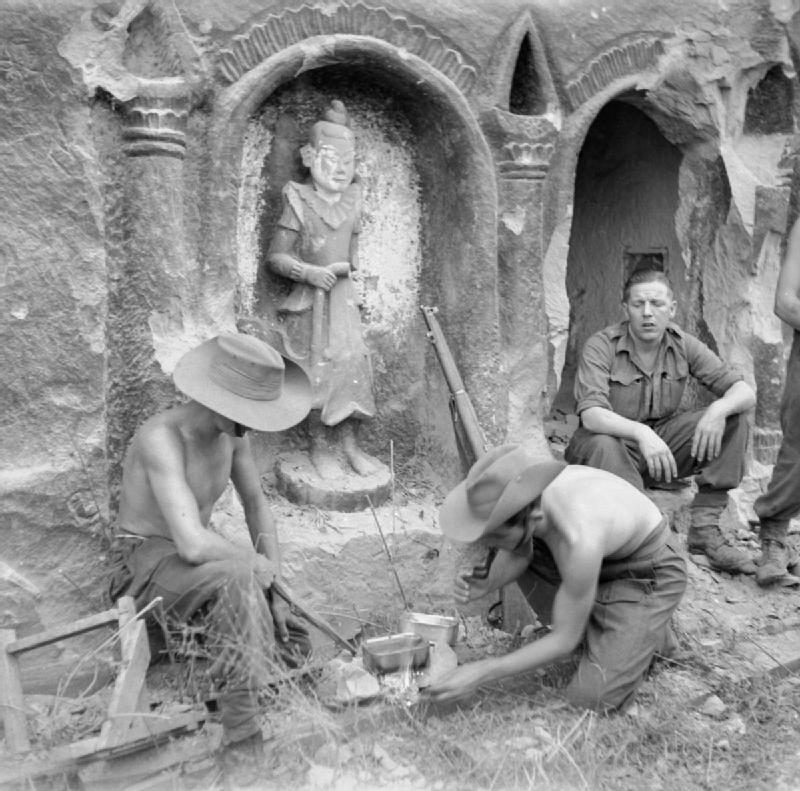 Men of the Wiltshire Regiment from the 26th Indian Infantry Division prepare a meal beside a temple on Ramree Island. 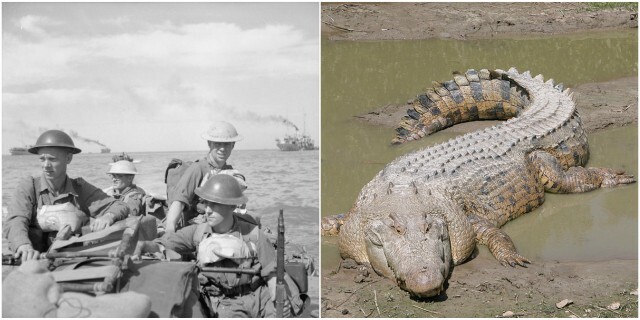 There is a long history of saltwater crocodiles attacking humans who wander into their habitats, and ultimately only 520 out of 1000 Japanese soldiers managed to survive the Ramree swamps. Some of them being so badly injured and mauled that they were later recaptured by the British forces. 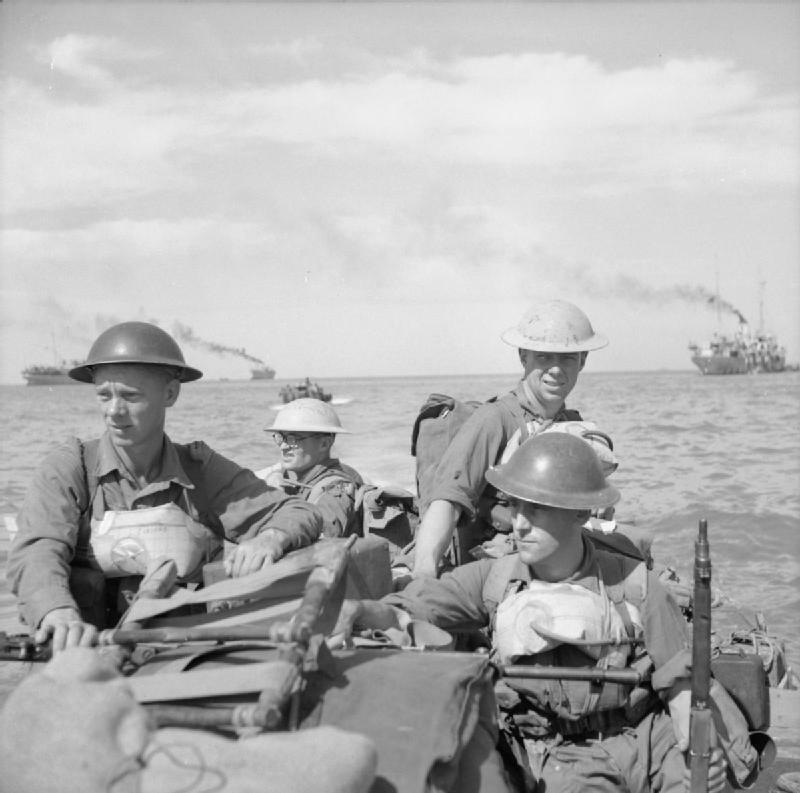 The likeliness of hearing of the Battle of Ramree Island is incredibly small due to it not being one of the Second World War’s most significant skirmishes, but many consider it one of the oddest and creepiest stories in the history of warfare.